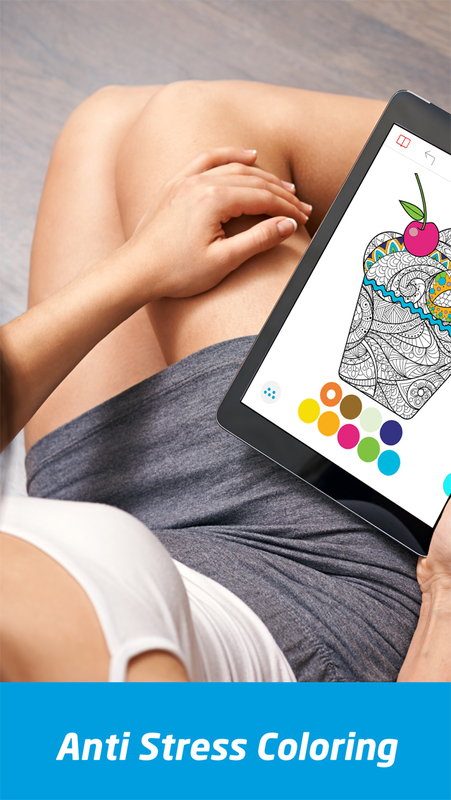 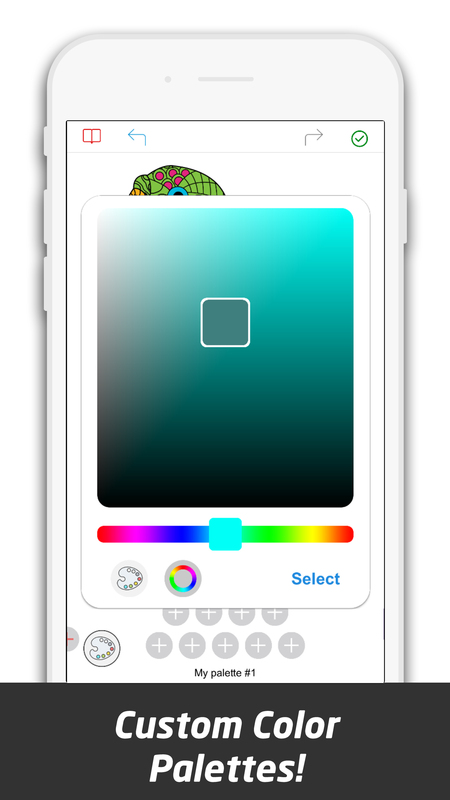 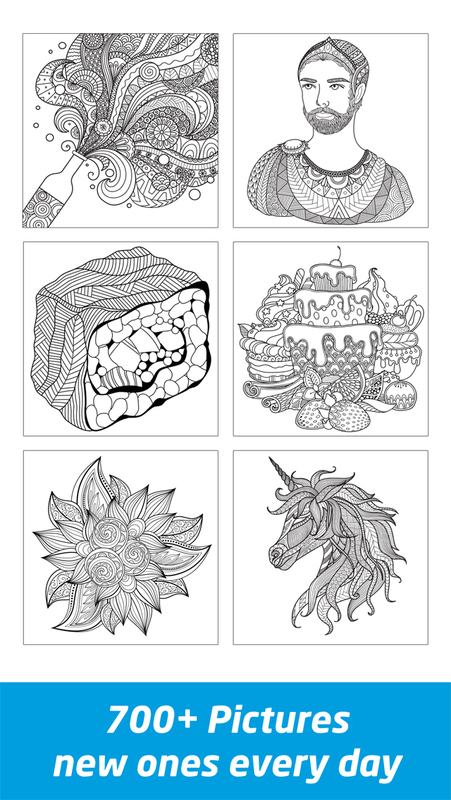 The most complete and polished adult coloring book app for iPhone and Android. 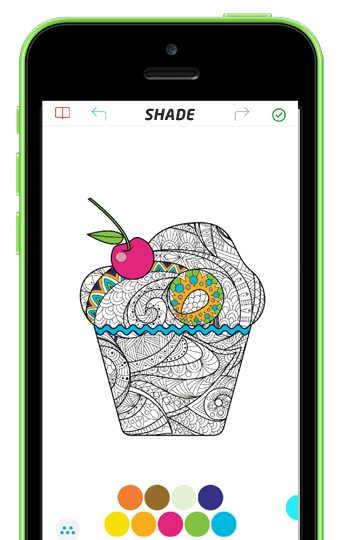 Shade has tons of color palettes, gradients, and live colors to choose from. 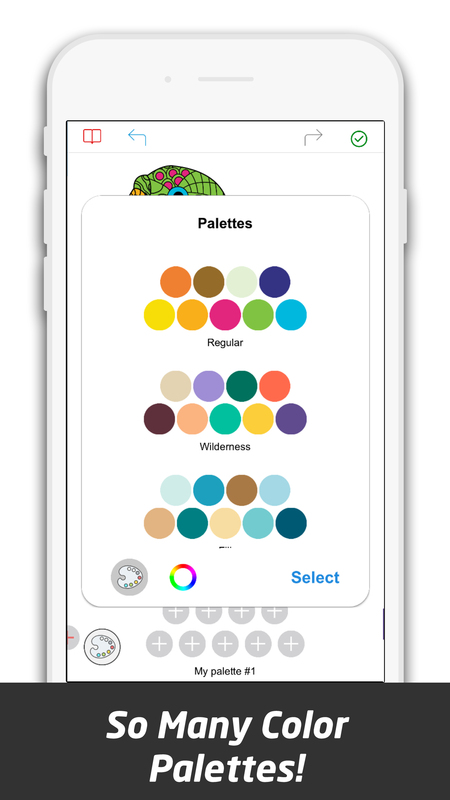 If somehow the default color palettes aren't enough for you Shade allows you to create your own custom color paletttes. 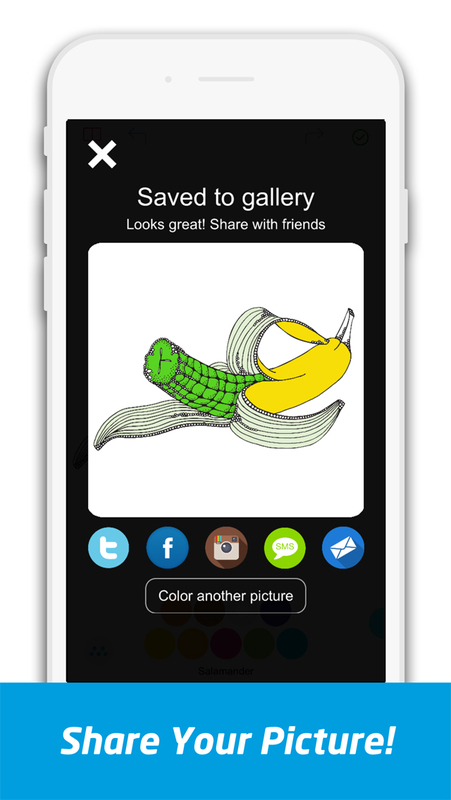 Shade allows you to easily save your pictures to your gallery and export them to facebook, twitter, instagram, sms, and email. 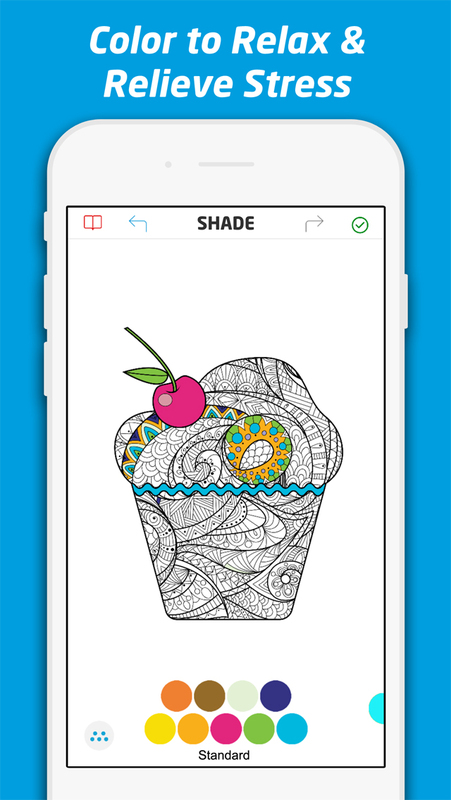 Shade gives you all the tools you need to create great pictures! 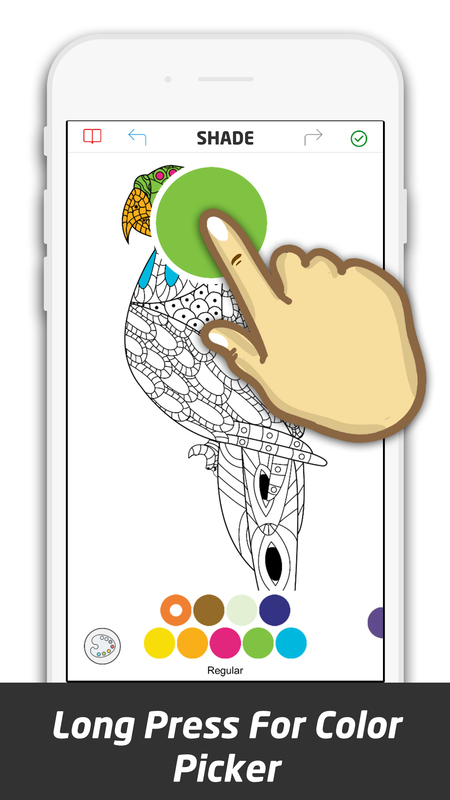 You just tap to color and zoom in to get to those small little peices. 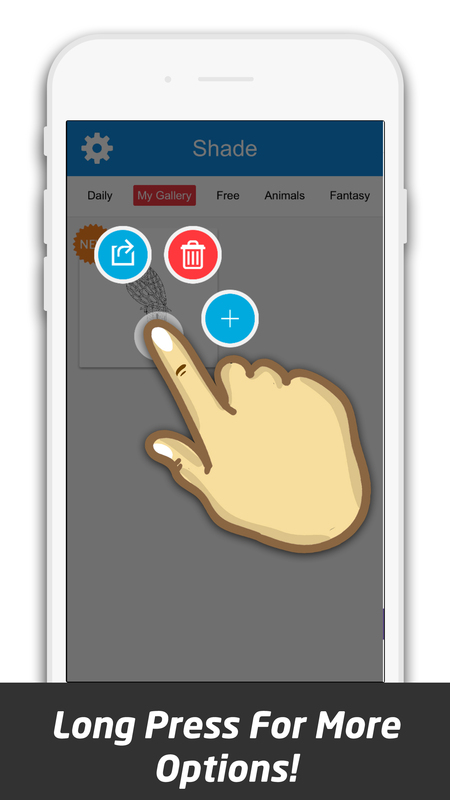 Check out the following screenshots to see the great features for yourself.